Even if you don't live on the East Coast, you probably heard it was slammed with snow recently. It's become a running joke that some of the more Southern states are ill-prepared for the weather. We don't have a barrage of snow plows ready to go or crews sitting in wait to salt everything. It's no surprise that at the slightest hint of winter weather, classes are cancelled, businesses shut down, and roads are closed. Now, one person can't control how prepared their city is, but you can certainly control how prepared you are for the weather. I'm not talking about what tools are in your garage; I'm talking about what clothes are in your closet. 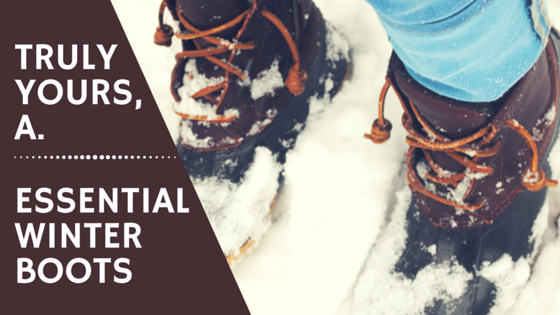 Above all else, you're going to need a few pairs of amazing boots when the temperature dips. Stepping in a puddle of frozen slush while wearing ballet flats is a mistake you only make once, and there's no better time to do some online shopping than when you're stuck inside and snowed in for the weekend. What better inspiration do you need to perfect your winter wardrobe? To kick off your collection, find a good pair of ankle boots. They're the perfect combination of fashion and function. You can find plenty of different ways to wear booties, making them easy to incorporate into your existing wardrobe. Dress them up with a midi skirt for work, or dress them down with a pair of skinny jeans when you're headed out with friends. If you get an unseasonably warm day, skip the tights entirely and get some off-season use out of your above-the-knee skirts. Your options are endless. Next, if you're brave enough, you should throw in a pair of over-the-knee boots. With all the layers you're required to wear in the winter, it can be hard to pull off a sleek, feminine look. At the very least, over-the-knee boots can help boost your confidence while you're buried under all that fabric. If you take a look at different collections of designer boots, you can see how most are keeping the look simple in black and brown suedes and leathers. Because these boots provide so much of a statement on their own, it's best to avoid patterns and stick to a solid color. 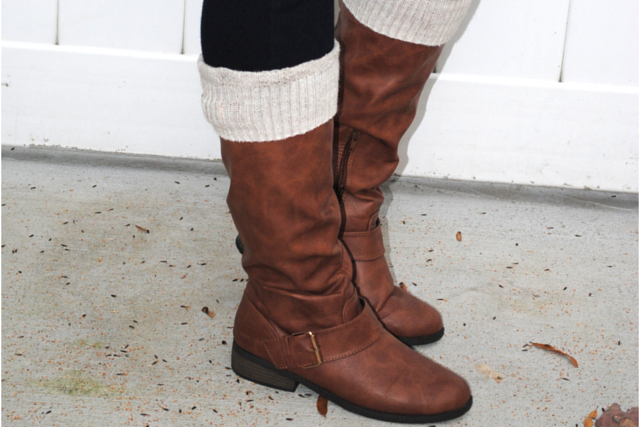 Finally, you can't go wrong with a classic riding boot. They can be worn with just about everything and still make you seem polished and well put together. Just like ankle boots, you can wear them with skinny jeans, leggings, and tights, but they're mostly cold-weather footwear. If you take a look at a few different outfits paired with riding boots, they don't look as attractive with shorts or ensembles that leave the rest of your leg uncovered. To get the most out of your purchase, stick to solid colors of black and brown. Remember, you can make any pair of boots work with a wider variety of outfits if you stick to a neutral tones. But don't be afraid to step outside of your comfort zone every now and then. Some days all you need is a fun pair of bright red boots to break you out of your winter blues. 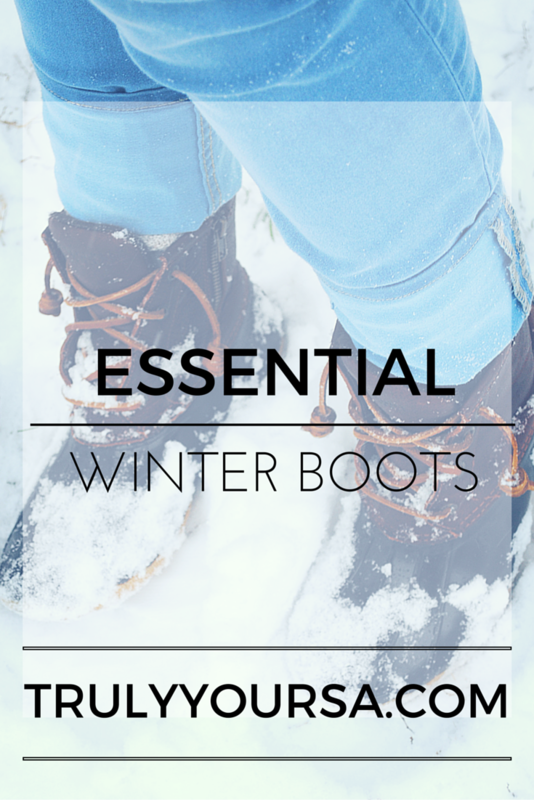 Stay warm and tell me all about your favorite pair of boots in the comments below!